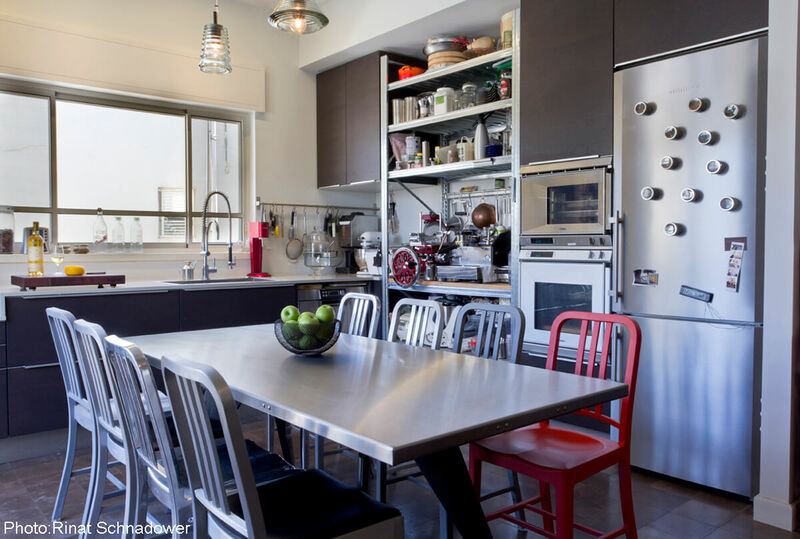 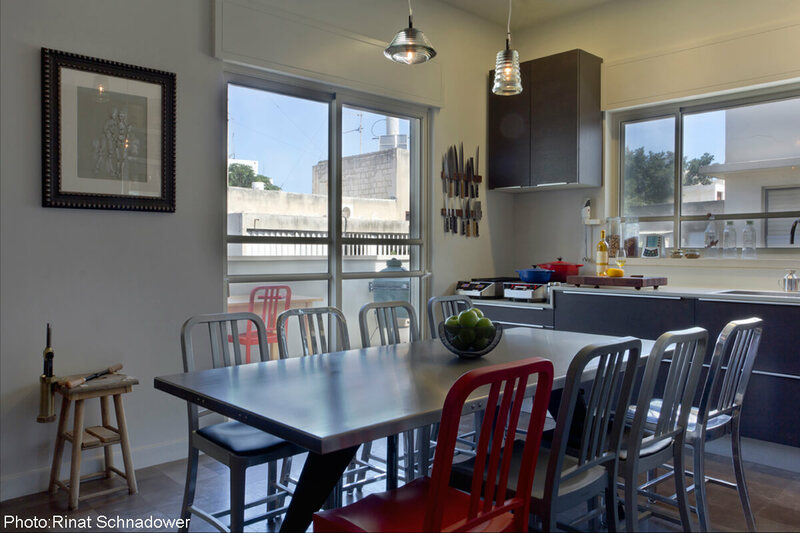 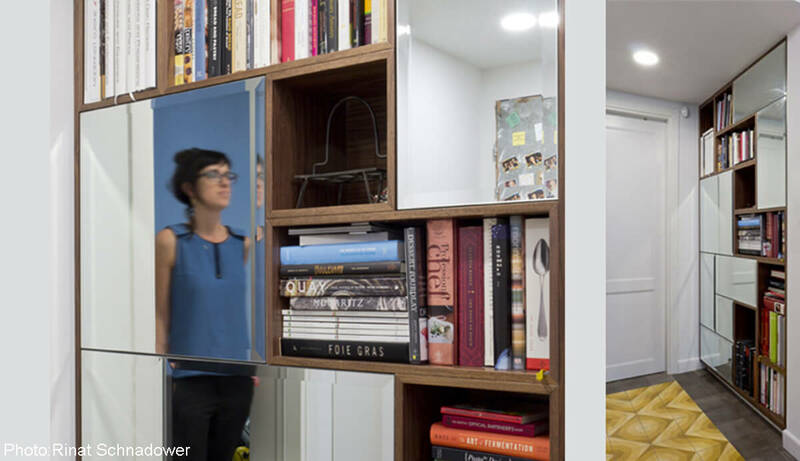 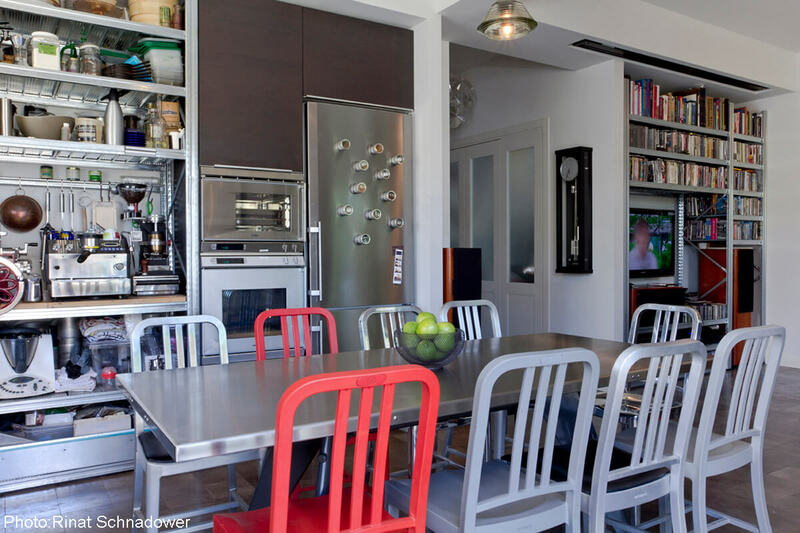 Complete renovation and interior design of 95sqm apartment in Tel Aviv. 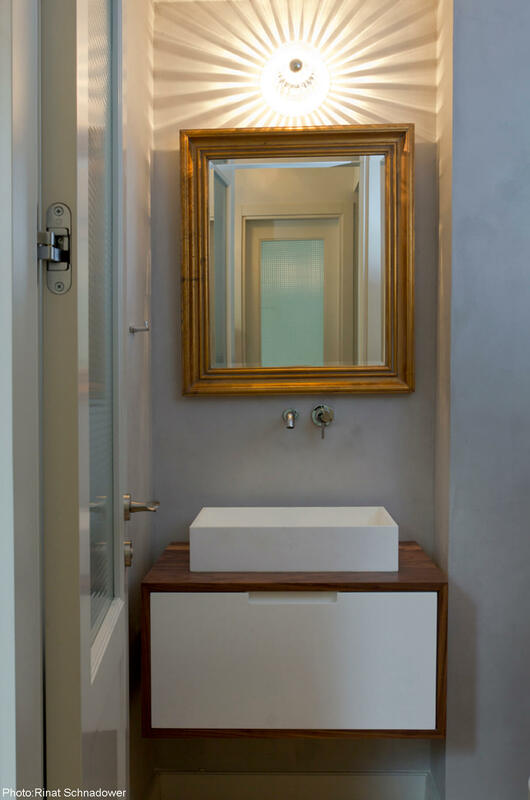 The apartment’s entrance hall leads to the bedrooms first, following the public area, which includes a spacious kitchen for the cooking loving couple. 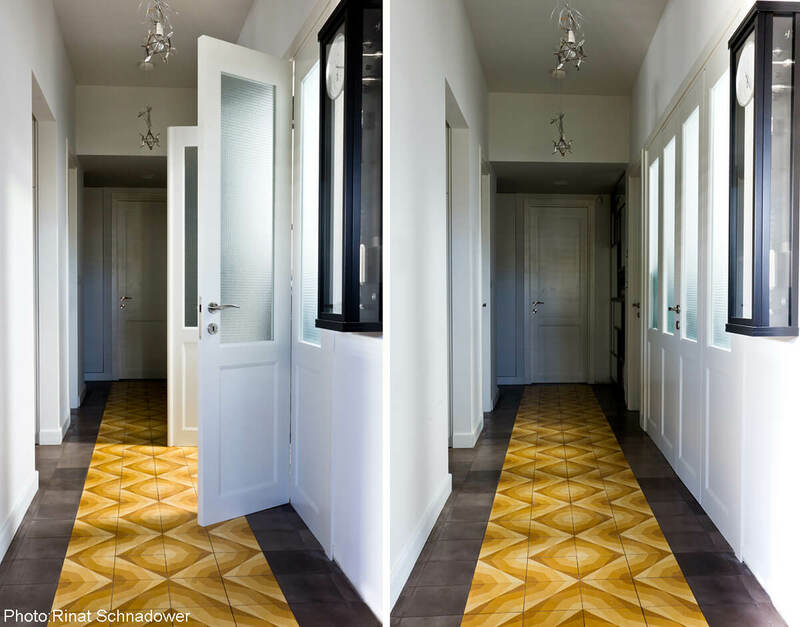 The corridor and bathroom were paved with a combination of new and original painted concrete tiles. 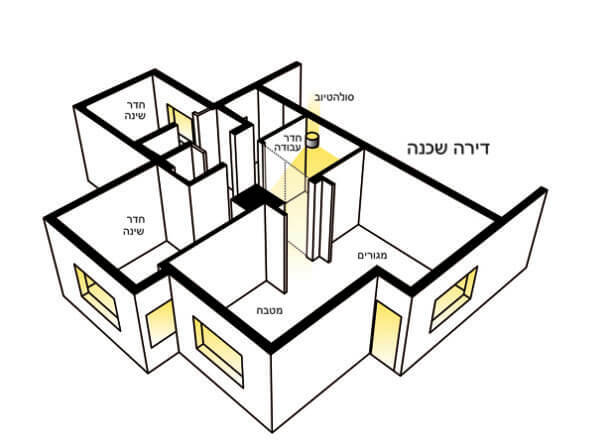 The unusual layout of the apartment was planed as part of the designer’s environmental agenda, maximizing natural light and ventilation, with the use of Solatube in the working space to allow penetration of natural light from the roof.